Truly a film that keeps you interested till the last second. Spy movie that is at it's best in this stellar cast, G. Oldman, T.Hardy. Colin.F. Just brilliant. Combo steelbook at an excellent price, the Stell is also extremely executed well with numerical symbolism running across Gary oldman's Face is the business. Really a steelbook that has to be in every decent collection. Arrived in excellent condition. 20/04/17 by This is SPARTA! I bought this on steelbook from zavvi and watched it for the first time. It's become one of my favourite movies since! Gary old man is excellent and it's got a great cast and stands head and shoulders above many British movies to date! Would recommend it for this price if you haven't already seen it! 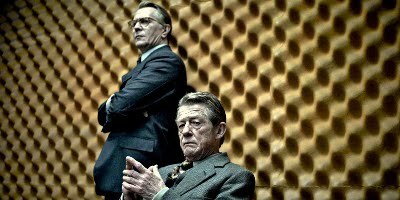 A great chilly spy thriller with a terrific restrained performance from Gary Oldman. Very good film and a very good steelbook to go with it. Zavvi were great with shipping as usual, thank you. 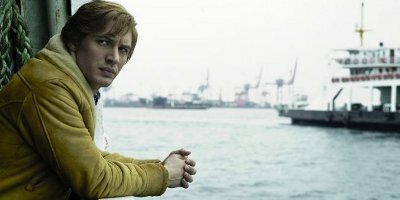 I thoroughly enjoyed the movie "Tinker, Tailor, Soldier, Spy". Gary Olman did an excellent acting job. I would highly recommend this movie to all adults. Considering I believe these reviews should be reviewing the actual product (the steelbook), rather than the film itself, that's what I'm going to do. The steelbook artwork is one of my favourites. The numbers/coding over Gary Oldman was always an awesome design, but when put onto a steelbook, the numbers seem to glow making it a truly magnificent piece of artwork, aesthetically. The double play feature is also a nice bonus. This is a great steelbook for a great movie. I've never seen it before, so it was a bit of a gamble buying it. Worth it. The movie is slow paced, a real spy movie, without big action scenes, just great spy work. I recommend it. This one is a pretty standard steelbook. This doeasn't mean that it's not a great one to look at. The overall quality is excellent and the movie is a classic, which helps. Beautiful edition of this excellent movie. Plenty of extras will sastisfy all spectators. Tinker, Tailor, Soldier, Spy: Limited Steelbook Edition - Double Play is a nice steelbook with fast delivery. It's a good movie.